Switzerland has clarified that it does not expel Eritrean asylum seekers from its territory, refuting Israel’s claim that it was halting the granting of refugee status to Eritreans and would deport thousands of them. A letter sent by the Swiss Embassy in Israel to the Knesset, obtained by Haaretz, says that every asylum request by an Eritrean national is examined individually, and that forced expulsion is “not possible,” even if there is a legal option to return some of them to their native land. According to Bern’s official figures, 75.2 percent of Eritrean asylum seekers have obtained some form of legal status in Switzerland, which protects them against deportation and offers them social benefits and the right to work legally. Some 58.3 percent of asylum seekers have been fully recognized as refugees. The figure in Israel is 0.1 percent; there are some 26,000 Eritrean asylum seekers in Israel, and only 10 have been recognized as refugees. The embassy referenced two Swiss cases it said “generated many discussions in Israel.” In one, a woman who left Eritrea at age 29 after being released from military service was refused asylum, and in the other a 21-year-old who escaped the country before being conscripted was rejected. Despite their requests being refused, both were allowed to remain in Switzerland since “forced removals to Eritrea are not possible,” according to the document. 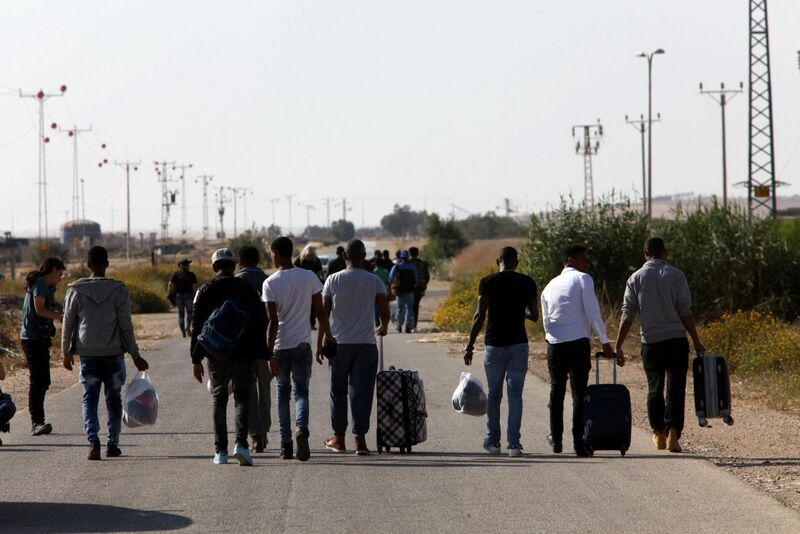 The chairman of the Knesset Interior Committee, Yoav Kish (Likud), said it was possible to conclude from the Swiss policy that there is no impediment to returning the Eritreans to their country. In addition, it was reported in Israel that Switzerland was going to deport 3,200 asylum seekers to Eritrea. Their status is indeed being examined, but even if it is determined that they are not in danger if they return to their country they will not be forcibly deported. The embassy staffers wrote that there are two distinct types of temporary status in Switzerland: one for refugees with retroactive grounds for asylum – personal risk created through or after their flight – and the other for people not recognized as refugees but whose deportation is considered “not permitted, not reasonable or not possible.” A general, global policy cannot impact individuals without an individual review, the Swiss said. The letter also made clear that Eritrean draft dodgers and deserters are recognized in Switzerland as refugees, are recognized as refugees in Switzerland “as they risk inhumane punishment upon return” to Eritrea. According to the letter, the latest rulings do not affect the ability of Eritrean citizens to live in Switzerland, and will not lead to their deportation, and certainly do not affect anyone already recognized as a refugee. Still, the letter stated that the deportation of people whose asylum requests were denied is permissible and reasonable, even if they are conscripted into the military upon their return. While “conditions of life in the national service are painful… there are reports of ill-treatments and sexual abuses during the national service” and “Eritrean national service can be qualified as forced labor” it might not be ” not to the point that they would render an expulsion illegal” for a person denied refugee status. However, the person cannot be returned by force. As for the 29-year-old who was refused, she had already finished her military service. According to the document, “the return of Eritrean nationals cannot be generally considered as unreasonable. Illegal exit is not a sufficient ground for asylum on its own, in the absence of an additional risk factor. Persons who have already accomplished their national service and ‘diaspora members; who settled their situation with the Eritrean government are not necessarily at risk of being convicted, recruited for national service or persecuted.” Nevertheless, the woman was neither arrested nor deported.